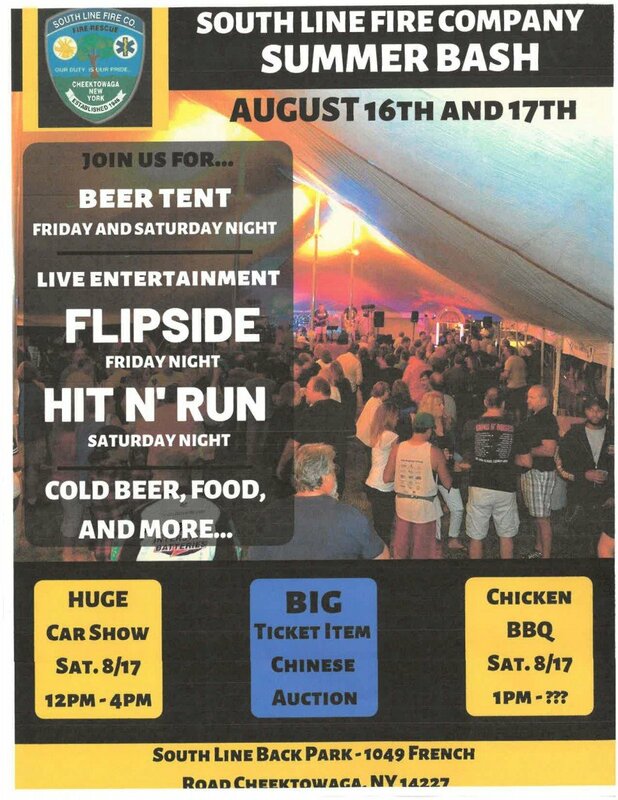 South Line Summer Bash is an annual weekend fundraiser for the South Line Fire Company. It is held every August behind our main fire station on French Road. The event started in 2013 and was an instant hit. With your continued support we are becoming a new must attend summer extravaganza. The event has now expanded into a 2 day event with multiple bands, car show, and chicken barbecue.